Nila is now 20 months and we are currently learning all the different animals and the sounds they make . I love anything that we can include in learning and puzzles are a great addition to this . 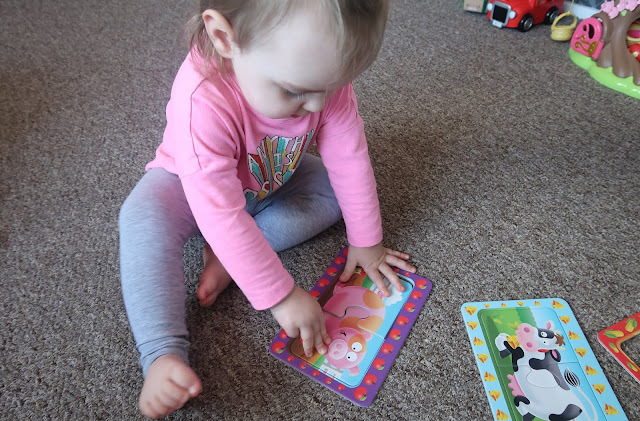 Puzzles are also perfect for little ones to help with their fine motor skills and hand eye coordination . We love puzzles as whole family so this set will be a lovely addition to our eve growing collection. 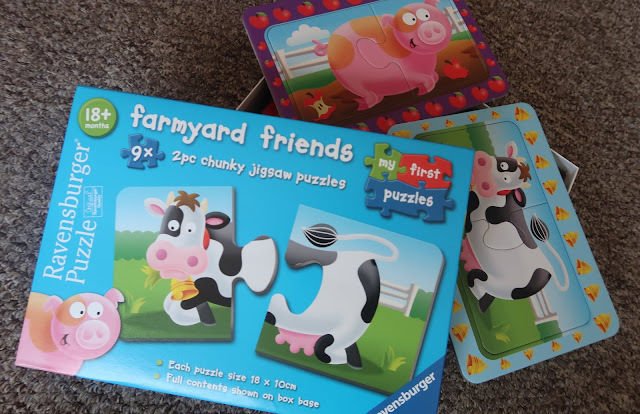 The set contains 9 x 2pc puzzles and is from the my first puzzle range. The animals in this set are all ones we have been learning - pig, duck cow, cat and dogs, all the first and could main animals you come across. The puzzles are made from super thick , double laminated card , which is perfect if you have a Teether on your hand and fancies chewing a piece to soothe the peggies :) . I love that the pieces are very breasy fit and bold which captured Nila’s attention too. What i thought was really cool about this puzzle set and you could even include it as an extra game is that you can use the 2 piece set on its own or use it with the frame. The frames have little symbols on them that actually match their puzzle set as well. For example- the cow frame has a bell around it , and the cat frame has a ball of wool around it . 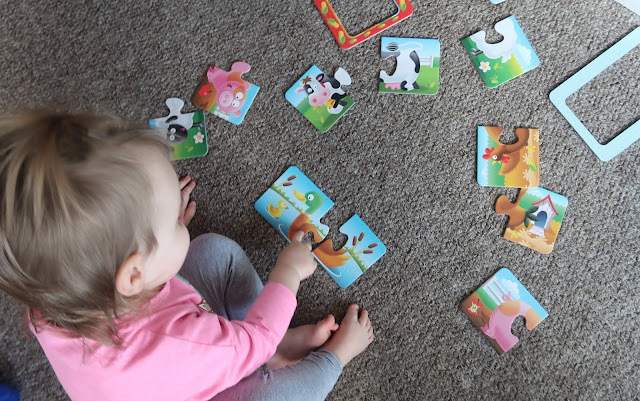 So you could learn about what types of objects or things correspond with the animal , so the puzzle in fact grows with your child. That's a really cute first puzzle. I like how bright the colours are.